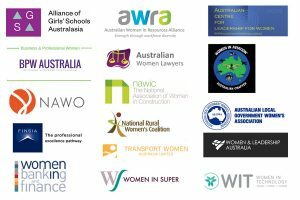 The Alliance is a leading voice for the education and empowerment of girls and women in Australasia. In collaboration with girls’ schools and key partners, we strive for a world where women make a difference in new and impactful ways, promoting inclusion and enhancing society. The Alliance network comprises 170 diverse member schools representing over 132,000 girls and over 10,000 educators. Our initiatives comprise a range of professional development courses, events, conferences, networking activities, and research. Inspiring girls: Our work inspires girls and young women to feel a positive sense of agency, to be unafraid to stretch beyond their comfort zone and be motivated to lead and determine their own future. Challenging convention: Our work critically questions social archetypes and conventions, providing evidence and insight that enables girls and young women to challenge traditional stereotypes and expectations in the ambitious pursuit of their goals and a more inclusive society. Creating opportunities: Our work provides girls, young women and their educators with a range of experiences, skills, tools and knowledge that open their hearts and minds to new ideas and ways in which to make a difference. For over twenty-five years, the Alliance has been developing young female leaders and supporting the increased participation of girls in STEM subjects and leadership opportunities. Harnessing voices: Our work brings together the voices of many, advocating the case for girls’ schools and enabling the needs of girls and young women to be heard clearly in society as a platform for positive change.